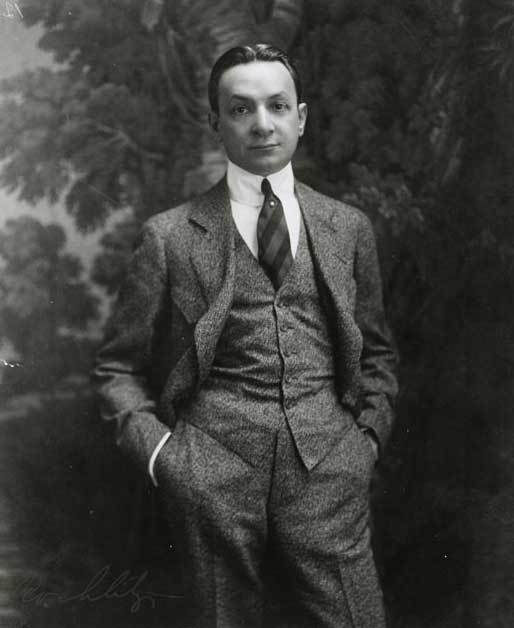 Florenz Ziegfeld’s business cards read “Impresario Extraordinaire”. And from 1907 until the final Follies show in the late 1920s, no one questioned its veracity. Ziegfeld’s longest-lasting legacy is his Follies: young, beautiful and talented women who ruled Broadway at the turn of the century and shared (or stole, in some cases) the stage with some of the era’s entertainment greats. 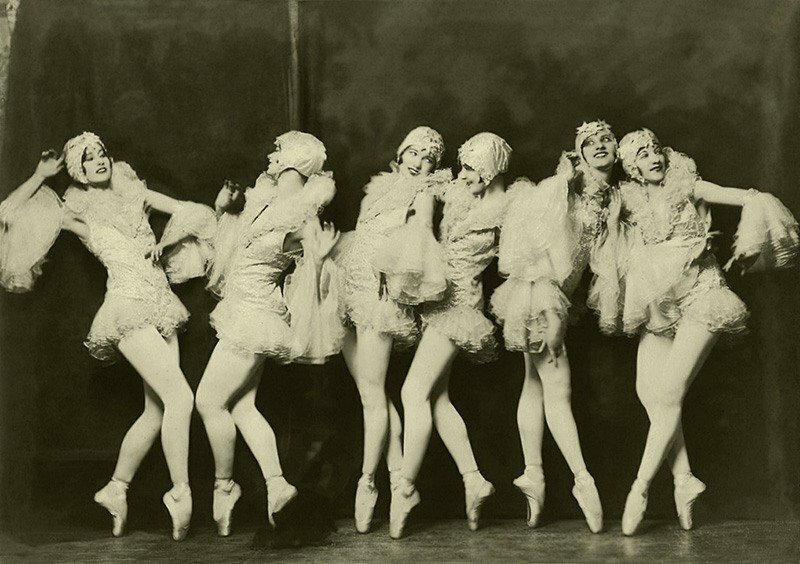 Some of the Ziegfeld Girls went on to become famous in their own right: names like Lillian Lorraine, Jessica Reed, Billie Burke and Anna Held are inextricably linked with the lights, feathers and sparkle of the Follies’ glory days. The man behind the magic wasn’t much of a thespian himself, but he didn’t need to be. Ziegfeld’s success came from his keen eye for aesthetics and his unflinching and at times straight up obnoxious ability to delegate. He had a taste for extravagance and fostered such a lifestyle in his girls, many of whom were lavished with jewels, flowers and other tokens from admirers in their dressing room each night. In fact, the most highly paid performer of the era, Jessica Reed, was a Ziegfeld Girl who made $125 per week, which would have been nearly $1,500 by today’s standards. Not just any young woman would have the chance to dance with Ziegfeld, though. From 1907 to 1927 he auditioned over 15,000 girls for his troupe, only accepting 3,000. The very first was a European Music Hall darling named Anna Held, who later became his muse. Ziegfeld fell in love with Held and brought her to America, crafting his first Broadway shows around her talents. With her 18 inch waist, “exotic” French accent and coquettish appearance, she was an instant hit. The two eventually married, but Ziegfeld’s tendency to not only gamble away his earnings but his trust with women caused the marriage to turn. In truth, very little is known about Ziegfeld himself. As with his shows, he had a penchant for exaggerating his personal life and conquests in the name of performance. So too did Ziegfeld create drama for his girls, which usually landed them on the front pages of the papers. One such story involved a lawsuit to a milk farmer after he allegedly sent “sour milk” for Miss Held’s daily baths. Yes, milk baths. The story was likely false, but it took off anyway, and soon enough Held was regarded as the Elizabeth Bathory of dairy.